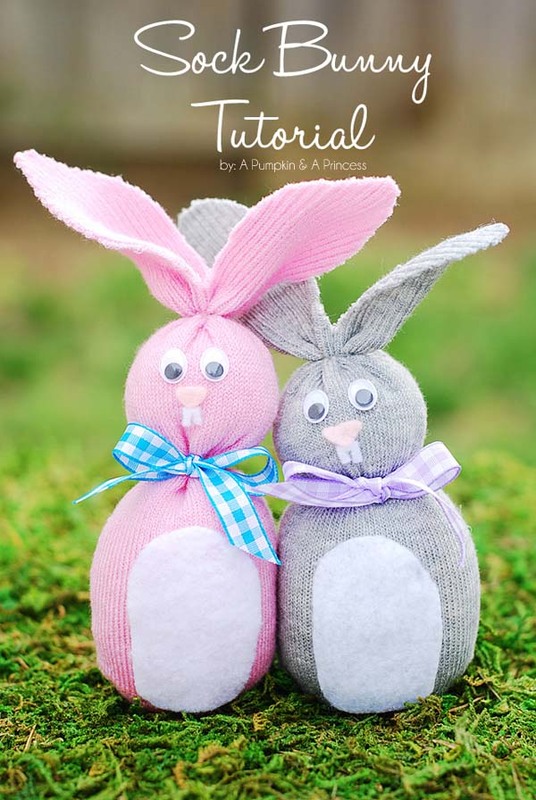 Each year around Easter I start looking for some fresh crafts and ideas to create for the holiday. I’m not looking for expensive and chic stuff. What I need is something that I can recreate easily and without spending a lot of money. 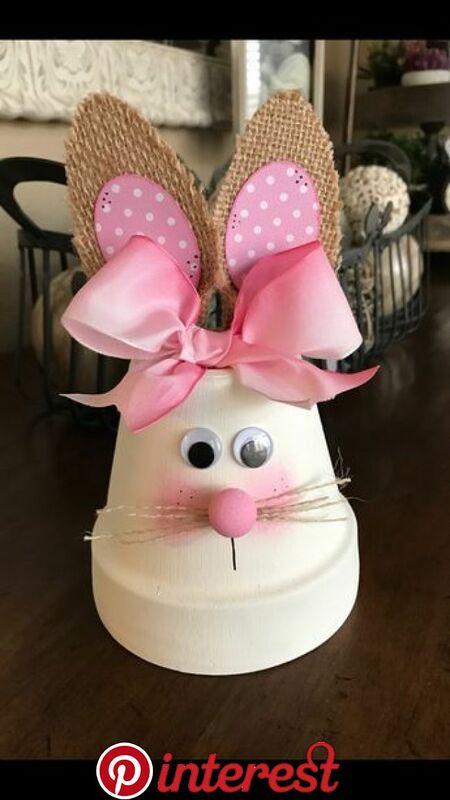 This year I have made a selection of more than 30 inexpensive and easy to do DIY Easter crafts, let me know if you like them. 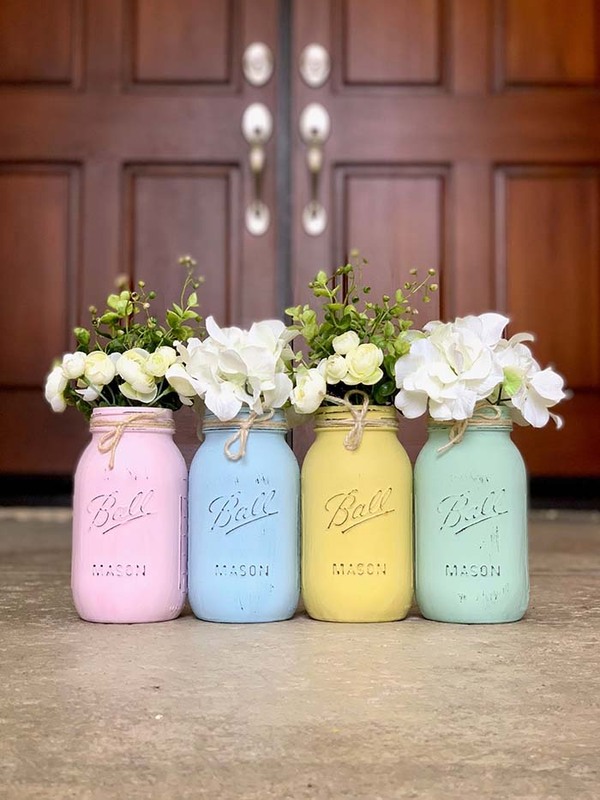 Flowers, eggs and bunny motives, and a message of love and togetherness: those are basically the popular Easter decoration essentials. 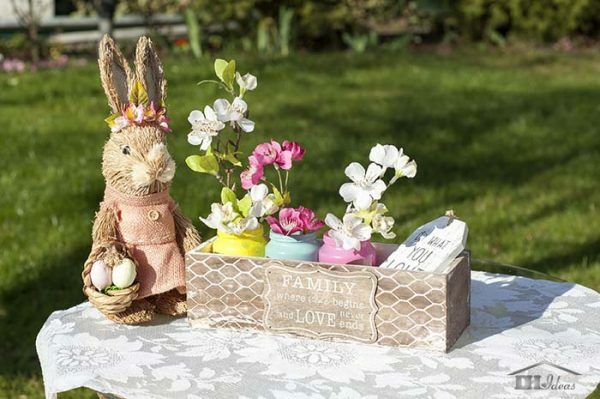 This decoration has all of them: a charming, but inexpensive rabbit sculpture, arranged with a couple of Spring flowers. 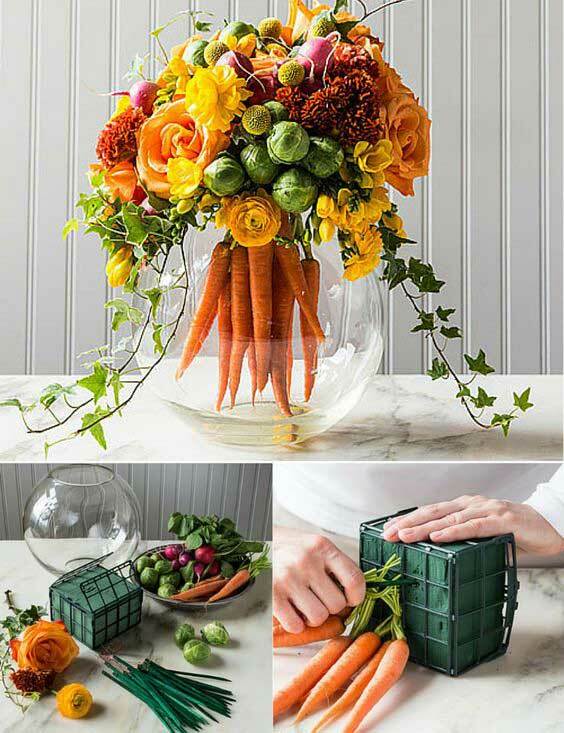 If you remove the bunny, you could use this arrangement as a spring centerpiece. Certainly the lesser known side of bunnies is surprisingly just as cute and will make your family believe in an actual Easter rabbit hiding in your house for a second. Your Easter breakfast is bound to have eggs in it, but why not prepare them in an unexpected way this time: fried eggs and bacon in a new shape. The whiskers and eyes are represented by chives and blueberries respectively. Icebergs are known for floating with most of their volume hidden below water. Just as this creatively arranged bouquet. What does this have to do with Easter? The Easter bunny will feel invited to your home just smelling the carrots! One thing you don’t expect to fall from the sky this Spring is probably flowers. They could rain over you, though, if you are not careful and open this umbrella by mistake. You won’t lose track of the holiday spirit if you place this charming door-like decoration at a tree trunk near your home or office. 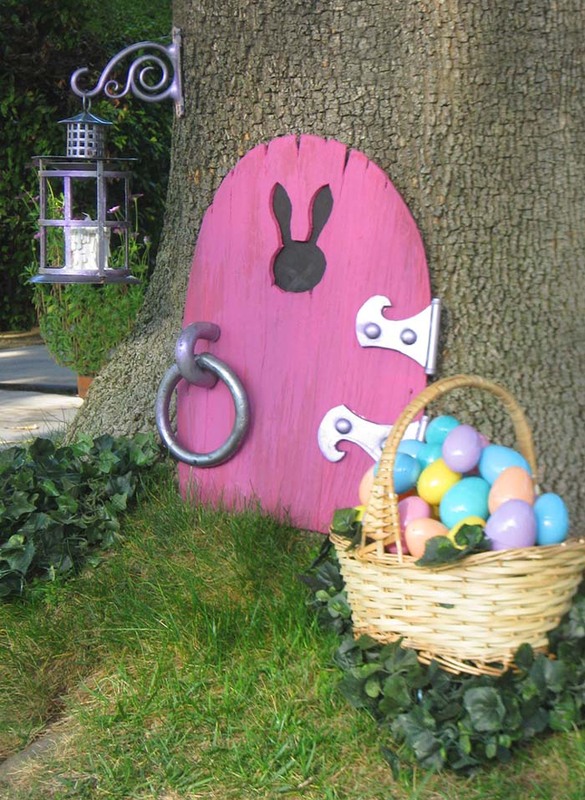 Combined with a bucket of painted eggs, it gives quite a hint where a very special rabbit lives. 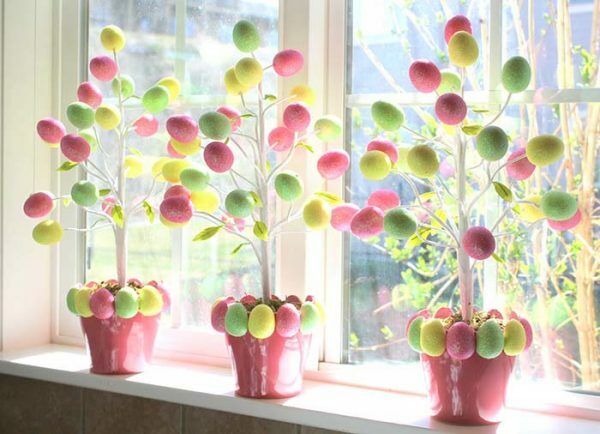 If you are in love with spring trees you can create one indoors. 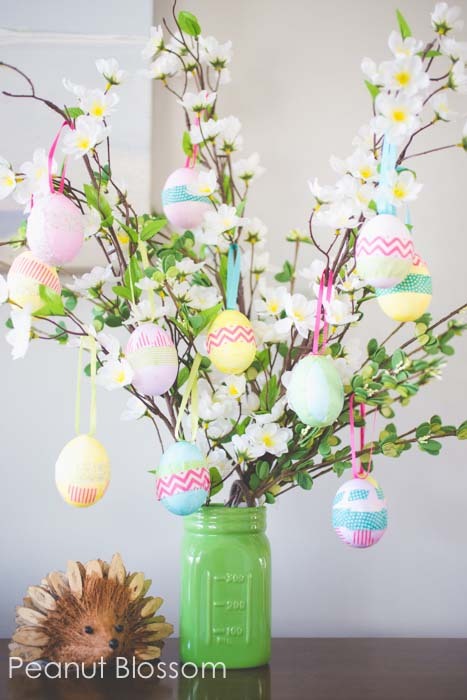 Decorated plants are no longer just Christmas’s trademark: stick a bunch of foam glitter eggs to a small tree from the dollar store. You will never believe how shockingly under budget those are. 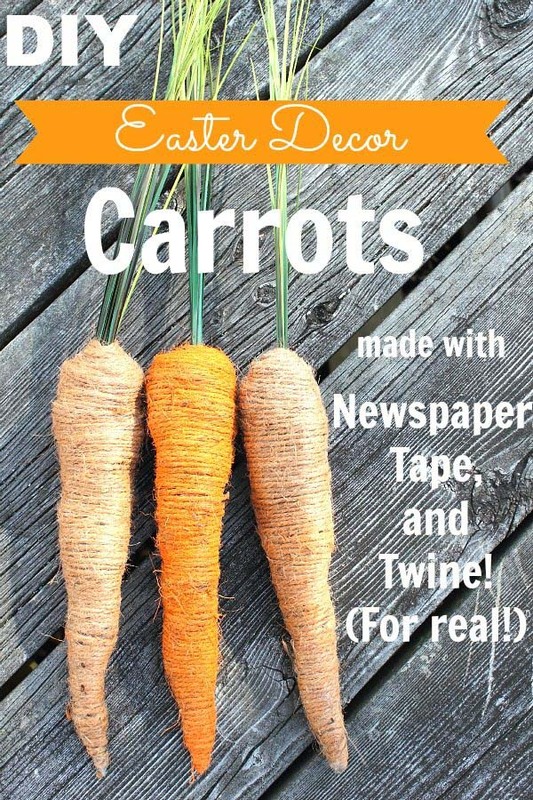 Newspaper, tape and twine will help you make tasty-looking carrots to place on your countertop as decoration, without the worry of them ever spoiling. Many mantel styles can make your fireplace look good, but probably none will make it look more festive. Some of the best festive traditions are created for Christmas day. 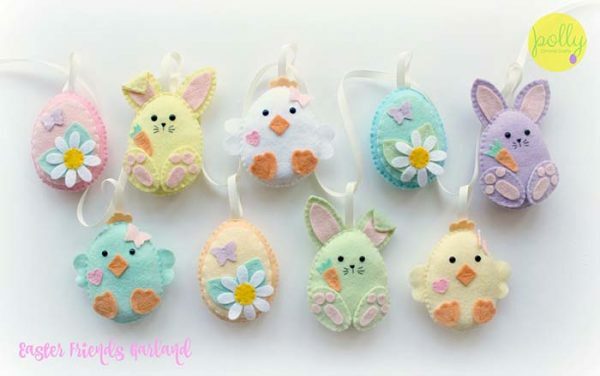 Those small bunny garlands look like Christmas decorations, but are extra fluffy and cute. 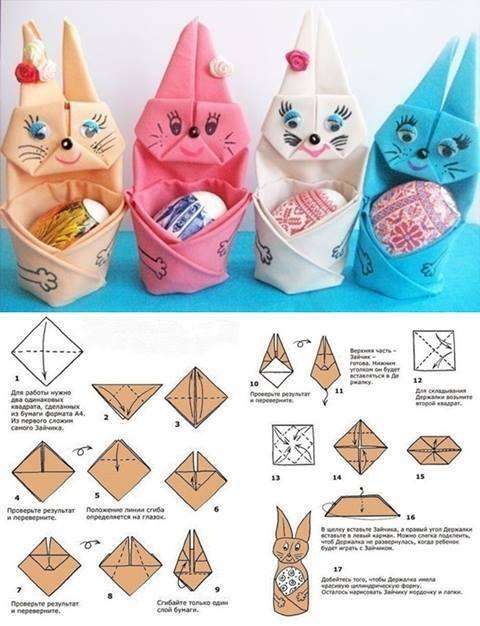 All you need is a piece of paper and those step-by-step instructions to create a decorative origami rabbit. It is even capable of withstanding the weight of your most beautiful painted eggs. For better effects use a colorful piece of paper. 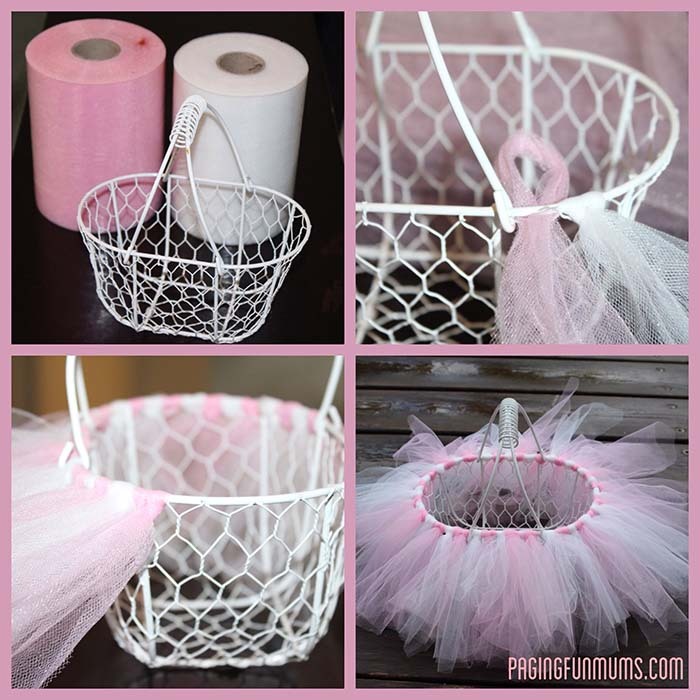 Certainly an unorthodox design, but this Easter bucket wears a tutu, the traditional ballet dancer stage costume. 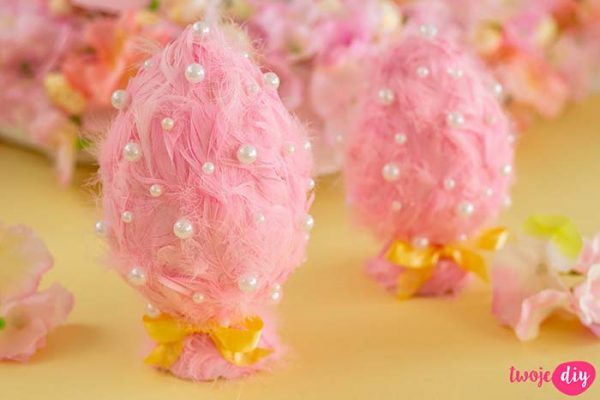 It won’t be able to dance Swan Lake for you, but it will make the traditional egg hunt so much more adorable. 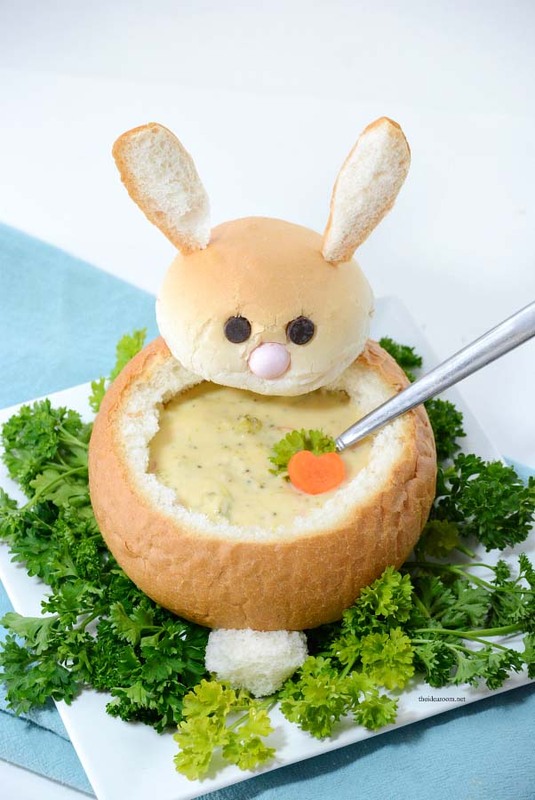 This Bunny bread bowl utilizes a round bun for its tummy and is perfect for crafts masters who also love coking. Your kids won’t run away from this meal even if they don’t normally love soup. You can even eat some rabbit at the end, but animal-lovers, don’t worry, it is vegetarian. Brightly-colored wrapped candy, which is actually made of plastic, but what is inside is what matters: actual candy your kids will love going after. 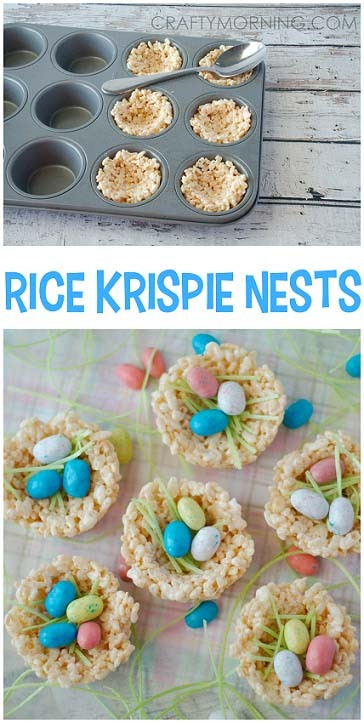 All you need for this DIY Easter snack are rice, marshmallows, butter, egg-shaped candy, and a muffin tin. Top it off with edible Easter grass if you have some in handy. Everybody needs a useful tool for that exhausting Easter egg hunt, which comes around the corner. 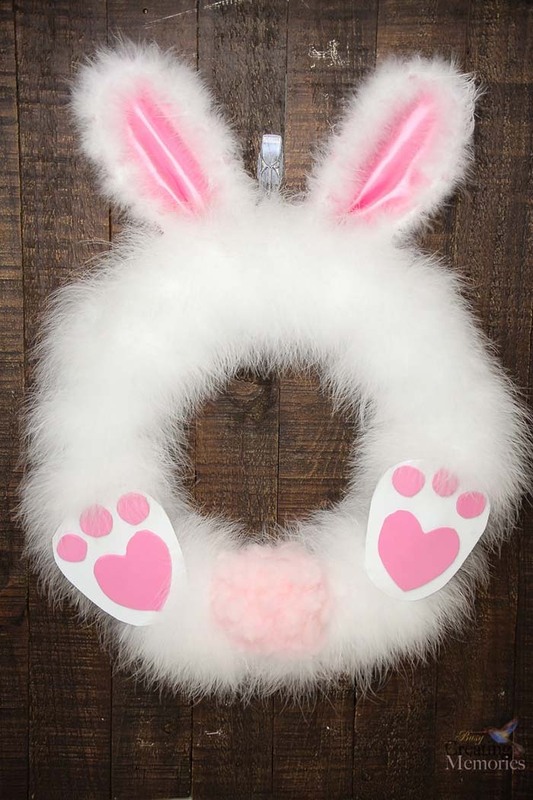 Besides the Easter bunny will only let you find his secrets if you do so in style and carry nothing worse looking than this fancy accessory. Make awesome gifts made by you. We can think of several ways to create those, but all the students in your kid’s school will find them just as amazing. Mix flour and liquid starch to make a mixture. Then put some threads (or embroidery floss, as specified for this DIY) and soak them. 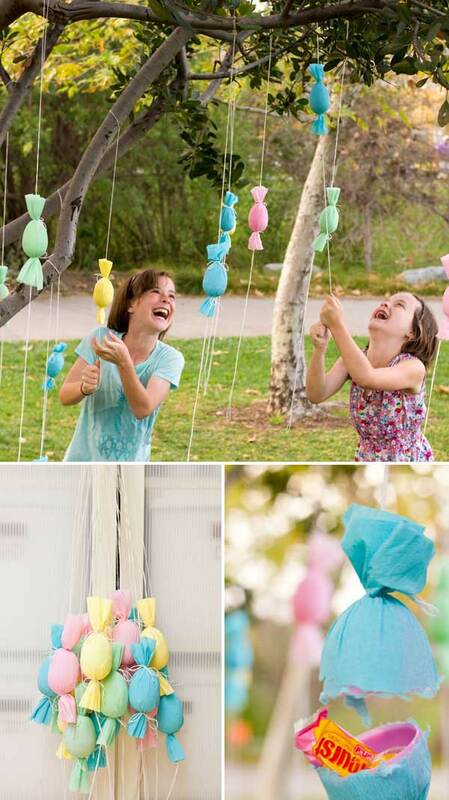 Wrap around balloons until they harden, then simply pop the balloons and voila! Feathers are among the most majestic objects in nature and they have become a symbol of many things: from literature and education to delicacy and finesse. 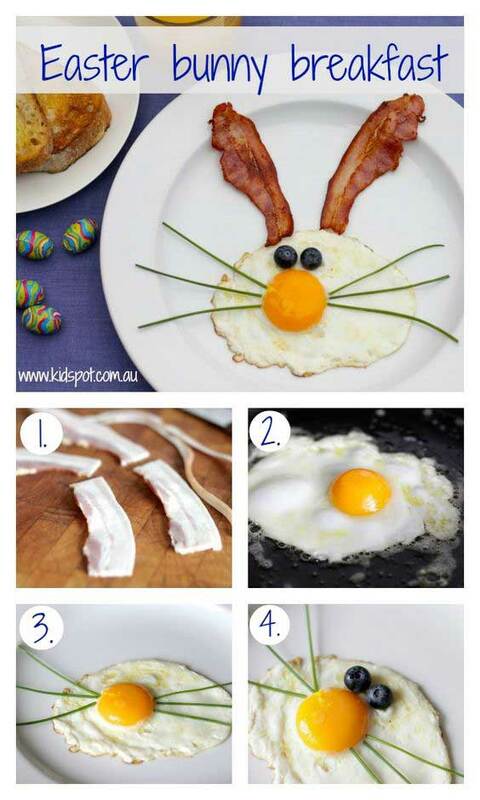 Here is another use: as beautiful egg decoration for Easter. Note, probably wiser to use styrofoam eggs instead of real ones. In most houses there is a bunch of spare socks just lying around. Make a good use of them and create those charming little fellows, who will bring glee into your house for the holiday. Back to basics! Cutting paper is among the first things we learn when we explore crafts, and it is often the easiest to do. Take the scissors and unleash your creativity. 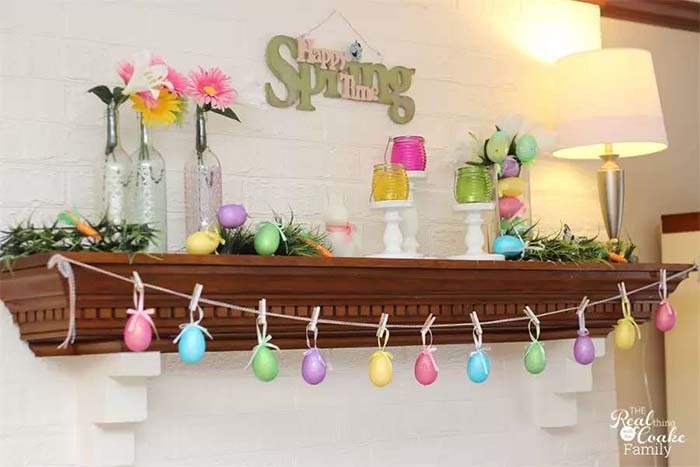 Egg cartons are cool to preserve eggs, but also come in handy when making decorations. Cut one and take two cups to form the head of a rabbit. You can make it eat “eggs” by scattering small candy around it. 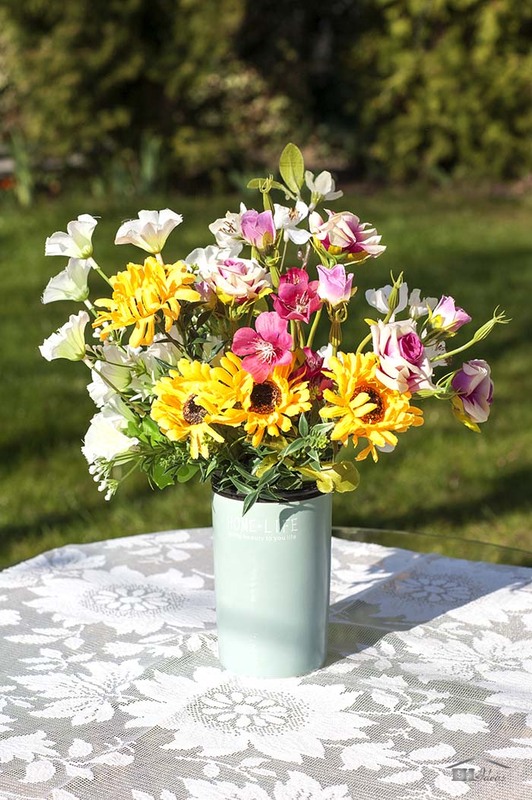 Flower bouquets are so synonymous with Easter, because Easter is in the Spring and that is when the brightest and most beautiful flowers blossom. Once again, nature is your friend. Eggs don’t grow in trees but that is close enough. 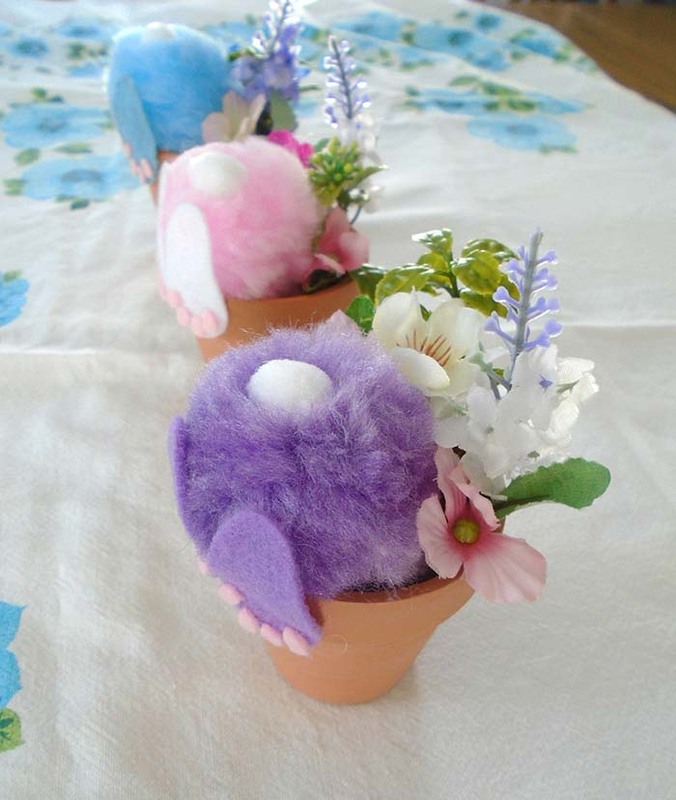 Use some spring flowers, stick them in a nice and pleasant vase and go wild with the colorful eggs. The hedgehog is a nice additional DIY detail. This friendly looking bunny can get loud. But when not helping play jingles it just sits quietly on the table and greets guests you invited over to share an Easter meal with. Vases are cool, but you have many options just lying around. Also, don’t forget, flowers are not the only piece of decoration that should be nice and pied: so should the container which holds them. Easter is coming. Feeding your family well is a must and also treats are allowed. 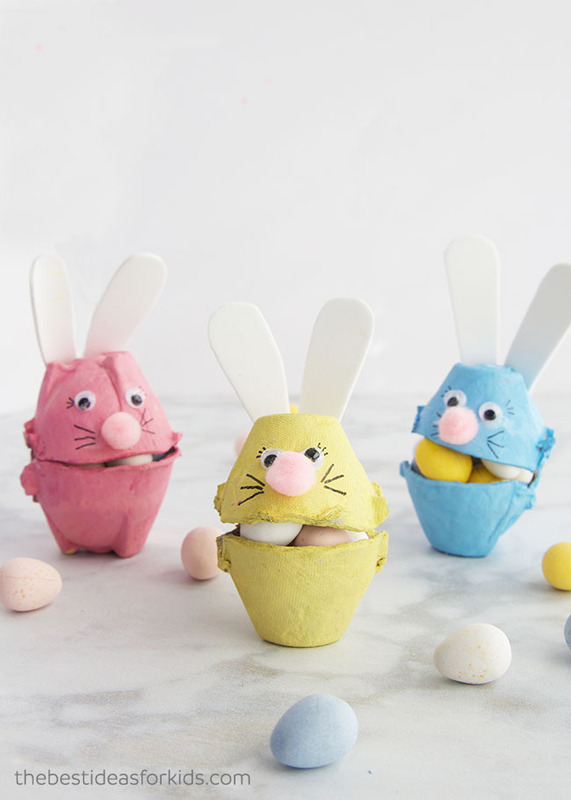 So make some cookies covered in glaze to shape bunnies, chickens and other colorful animals. At first glance we thought it says ‘hare’. Then we saw we were wrong. 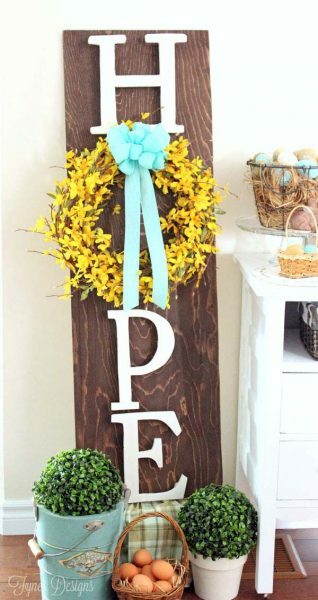 ‘Hope’ is a great Easter message, but whatever the actual words are, this is a really easy to make and notice decorations. 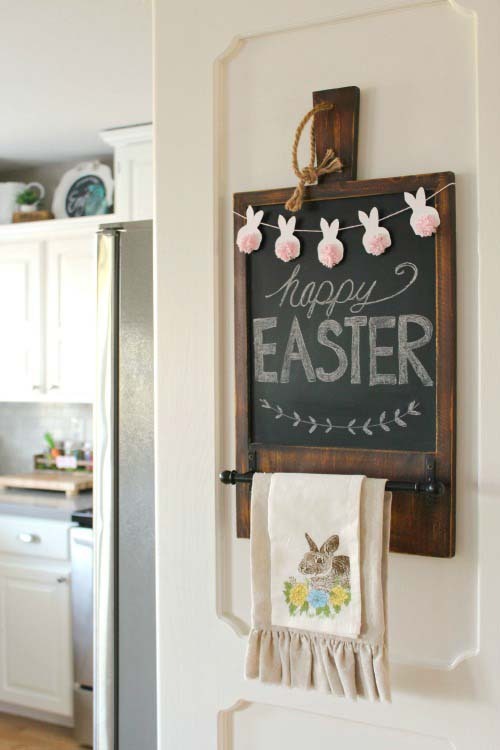 Complete it with a few other decorations and now you have a whole Easter corner in your house. 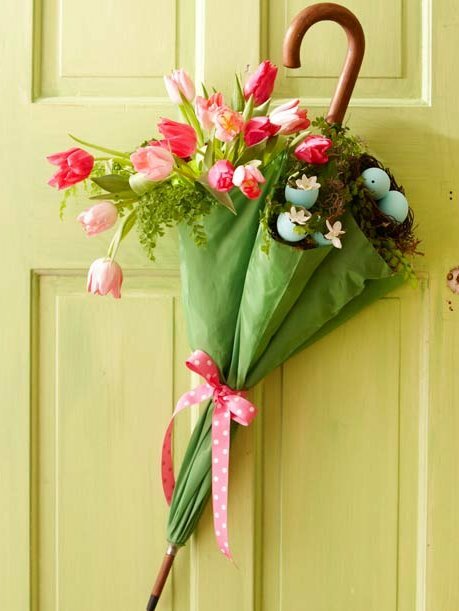 Easy and to-the-point decoration for the front door. Make it easy for everybody to see you are celebrating the holiday by greeting all of your guests with this fluffy detail. 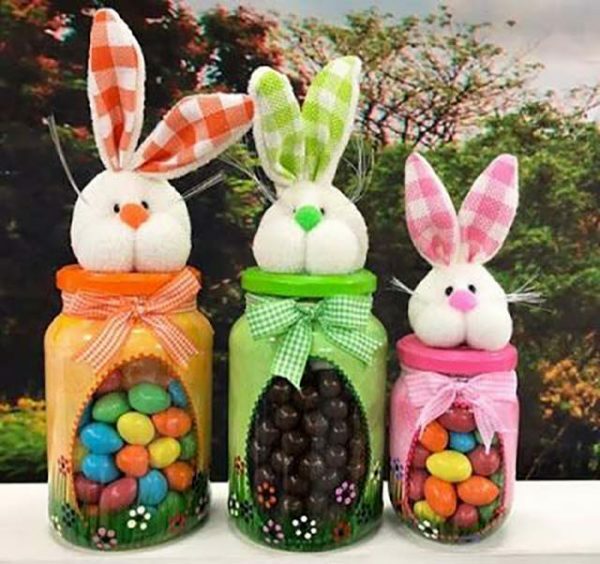 You have the best Easter candy, but are about to put it in a boring regular jar? That is definitely a no-no. Instead, make the jar the centerpiece of your kitchen. 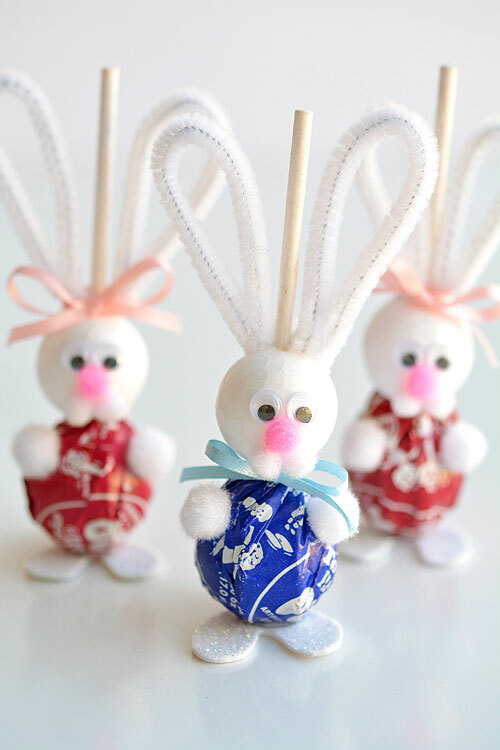 Bunnies who are full of candy: that’s just unbelievably great.